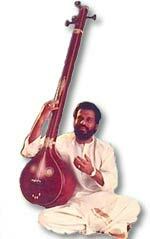 Kattassery Joseph Yesudas was born on January 10, 1940, in Fort Cochin, the ancient port city of Kerala. His father, Augustine Joseph, was himself a well-known singer and stage actor who rode the Kerala stage like a colossus for over a quarter of a century. Eldest of the four sons and one daughter of the Joseph couple, Yesudas took to music at a very early age. His first guru was his beloved father, who lovingly and painstakingly led little Yesudas through the basic precepts of Carnatic music while he was hardly five years old. From there, the budding singer took lessons under several musical wizards in and around Cochin and nurtured his native talent with discipline, dedication and determination. At the St Sebastian's High School, Pallurthi, Cochin, Yesudas was the top singer for several consecutive years. In 1957, he stood first at the state-level school youth festival in Carnatic vocal singing. In 1958, he was the recipient of a gold medal for vocal singing at the 'All Kerala Catholic Youth Festival' at Ernakulam. After school, Yesudas joined R L V Music Academy, Thirupanithura, near Cochin, for the Ganabhooshanam course which he completed with a double promotion and distinction in 1960. Meanwhile, the young singer joined the Sree Swatithirunal Music Academy, Trivandrum, for higher studies. His first guru was his father. Then he learnt from Kunjuvelan Aasan, who was a disciple of nagaswara vidwan Rajaratnam Pillai. Then came Joseph, Ramakutti Bhagavathar and Sivarama Nayar. Then he got received training under Chembai Vaidyanatha Bhagavathar. Yesudas' first sang for 'Kaalpadugal', a Malayalam movie, on November 14, 1961. The first song was with the verse written by Sri Narayana Guru. The lyrics were very meaningful: "This is a model place where all the people live like brothers and sisters, unaffected by the difference of caste and the enmities of religion." 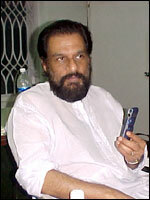 As far as south Indian languages are concerned, Yesudas has rendered songs in Malayalam, Tamil, Kannada and Telugu. He has sung in Hindi also. Totally, he would have sung more than 30,000 songs. It should be mentioned that most of his songs encourage the feeling of unity and brotherhood among the people. Offers started pouring in after the release of a few more film songs and Yesudas never looked back after that. He has performed in almost every major city in the world and has sung in many Indian and foreign languages. Yesudas won the 'Padmashree' award in 1973. National recognition also came in the form of an award for the best film playback singer first in 1973 and then four more times, a national record by itself. The first time he won the award was for a song in a Malayalam film extolling the importance of Hindu-Muslim friendship. Yesudas was nominated to head the Sangeetha Nataka Academy of Kerala in 1970 as the youngest-ever person to occupy the office. 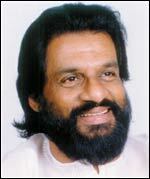 In 1969, Yesudas received the Kerala state award for the film 'Kaattu Kurangu', in 1971 for 'Vilaikku Vangiya Veena' and in 1977 for the film 'Jagadguru Aadhi Sankaracharyar'. The Kerala government honoured Yesudas by presenting him the state award in 1979 for the film 'Angadi', in 1983 for 'Swantham Saarika', in 1993 he was again honoured for the film 'Manichitrathazhu'. He also won awards for 'Parinayam', (1995) 'Mazhayethum Mumbe', (1997) 'Aaran Thampuran' and in (1998) 'Aayal Kathai Yezhudugeyanu'. In 1977, the Tamil Nadu government honoured Yesudas by presenting him the best male singer award for the film 'Andhaman Kadhali', in 1978 it was for 'Moondram Pirai', for 1981-82 for 'Nyaya Tharasu' and in 1988 for 'Mannan'. 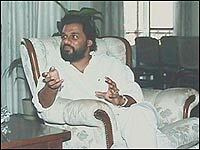 The Andhra Pradesh Government has also honoured Yesudas with awards in 1982, 1988 and 1990. Established in 1971 in India, incorporated in 1998 in the US, the audio cassettes revolution of the '70s found its echo in southern India mainly through the foresight and planning of Yesudas. Towards the end of that decade, he finalised plans for the establishment of a recording studio in Thiruvananthapuram.